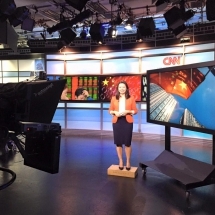 Sophia Yan is China Correspondent for the Telegraph, based in Beijing. Her coverage examines the impact of the country’s rapid and complex rise, reporting on everything from human rights to the economy. Sophia’s more sensitive pieces, while available worldwide, have been censored from broadcast within China. A versatile multi-platform reporter, she is equally adept at grilling CEOs as she is improvising in the field as a one-woman band. 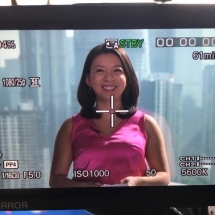 Sophia has interviewed venture capitalist Kai-Fu Lee; award-winning Chinese filmmaker Zhang Yimou; actor Jackie Chan; CEOs and senior executives at companies including Boston Consulting Group, Google DeepMind, Huawei, Inter Milan/Suning, LiuGong, Mobike, Nasdaq, Ofo, Sinopec Xiaomi, ZTE; along with top government officials in the U.S. and Asia. 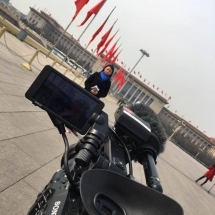 She has led live coverage from major events, including China’s annual legislative meetings from Tiananmen Square, the World Economic Forum in Dalian, a deadly earthquake in Taiwan, and an erupting volcano in Hawaii. 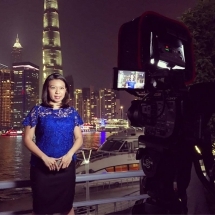 Before joining the Telegraph, Sophia worked for CNBC, CNN, Bloomberg News, and the Associated Press, based in Beijing, Hong Kong, Washington DC, and Honolulu. 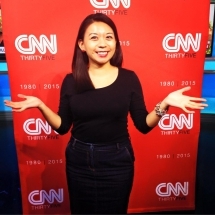 Sophia lived in Japan as a 2015 Abe Journalist Fellow, reporting a series of features on women’s issues in Japan, including underrepresentation in government leadership and child poverty among single-parent households. 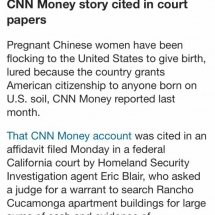 She was honored with a “Best in Business” finalist award in 2013 from the Society of American Business Editors and Writers for breaking scoops on the record number of Americans giving up citizenship over U.S. tax complexities. At Bloomberg News, she covered a range of beats across business and government, and began her career in Time Magazine’s Washington bureau, reporting on President Barack Obama’s historic inauguration in 2009 and covering the first successful defense using a Facebook status as an alibi. She has also published a spate of arts, travel and food features, and debuted on CNN Español in 2014, speaking in Spanish and hitting a gong. 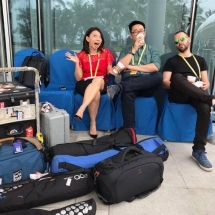 Sophia is a frequent speaker and moderator, featured at the U.S. Embassy in Beijing, Swiss Embassy in Beijing, Hong Kong Baptist University, Colgate University, Asian American Journalists Association, and RISE HK. She is fluent in Mandarin, constantly attempts to improve her Taiwanese, Cantonese, Spanish, and Japanese, and can always order a delicious meal in French. When Sophia isn’t busy reporting, she is tickling another kind of keyboard. She is an accomplished classical pianist with numerous awards, and performed in prestigious venues across the globe including Carnegie Hall, Lincoln Center, and Kennedy Center — all by age 16. She has premiered more than 100 works by living composers, and has continued to concertize extensively in diverse venues ranging from New York’s Steinway Hall to Hong Kong’s premier venue, the Fringe Club, and performing live on RTHK. Sophia has been described by the New York Times as a performer whose “music literally pulls her off the piano bench; she ranges up and down the keyboard so quickly and with such ferocity that mere sitting will not do.” She is also the co-founder and pianist of critically acclaimed classical ensemble, Western District, and records music for the Lawfare and Rational Security podcasts. In 2016, she was named to The Loop HK’s “30 under 30” list. Sophia holds a B.A. in English, with Honors, and a B.Mus. in piano performance from Oberlin College and Conservatory of Music. For speaking requests, story tips, or commissions, please email sophia@sophia-yan.com. 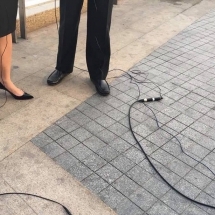 Live broadcast out of Tiananmen Square. Beijing, 2017. Punching bankers for a feature. Click to watch and read. Hong Kong, 2015. 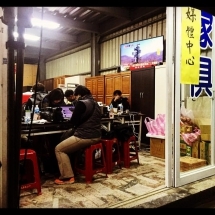 Makeshift furniture store turned media center at earthquake recovery site. Click to read. Tainan, Taiwan, 2016. Short people problems. Hong Kong, 2015. 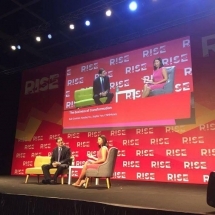 Interviewing Nasdaq CEO Bob Greifeld at RISE Conference. Hong Kong, 2016. Stories that have impact. Click to read more. Hong Kong, 2015. Live shots for CNBC along the Bund. Shanghai, China, 2017. We never travel light. Boao, Hainan, 2017. Hooked up. How the sausage gets made. Zhengzhou, Henan, China, 2017. 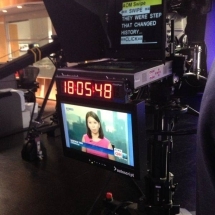 Talking more China in the CNN studio. Hong Kong, 2014. 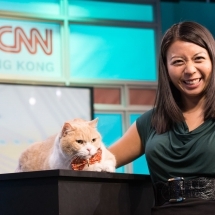 That time I interviewed a cat, Hong Kong&#039;s famous Brother Cream. Click to read. Hong Kong, 2016. 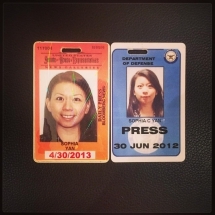 Old press passes from my Washington days. 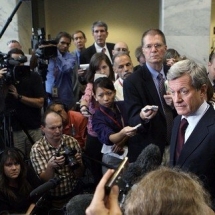 Capitol Hill with Senator Max Baucus. Washington, D.C., 2009. Celebrating CNN&#039;s 35th anniversary. Hong Kong, 2015. 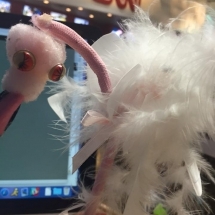 The feather flamingo pen, received as a gift 10 years ago, that has traveled with me on numerous assignments to farflung locales.